As a paymaster on a Union gunboat during the War Between the States, Meeker spent countless hours patrolling Louisiana swampland. Throughout his career, Meeker drew on this experience as a source of inspriation for his art. The author of several marvelous articles on his personal artistic vision, Meeker leaves little doubt as to his passionate search for "an area of repose." 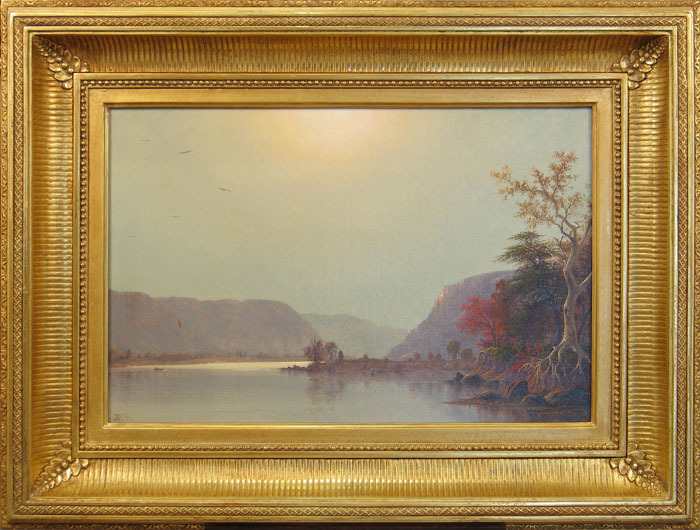 It is tempting to describe Meeker's artistic development as reminiscent of the change in light that marks day's passage from dawn to dusk. His earliest swamp pictures have the rather vivid intensity of discovery--of the new day--while his later pictures have a twilight effect. These are often moody in the tonalist manner so prevalent after the rise of the Salmagundi Club school.